Are humans the best runners on the planet? 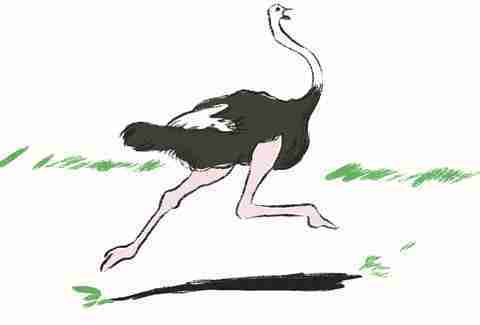 If you’re looking at speed, we lose in comparison to plenty of animals, including the ostrich -- which can run 50 mph. But when it comes to sticking with a run for endurance, we kind of rock. In fact, the oldest form of hunting was just us humans running down our prey until they literally collapsed, and while they were faster, we were more determined and ruthlessly steadfast, so when they laid down to die, we were just getting started! So lace up those sneaks and do what you were born to do, because you’re human, and you’ve been dealt a winning hand in the running department. Find out how we we were built for it in more ways than one. Sure, it’s a drag to be wiping dripping sweat off your forehead, under your arms, behind your kneecaps. But guess what? Sweating is the human body’s brilliant method of quickly shedding heat. With sweat glands all over our bodies, we can cool our bodies down before any danger of overheating kicks in. Also, aside from that one guy you see who could use a trip to the body wax salon, our general lack of body hair makes it a lot easier to cool off. Take that, lion. And we cannot lie (sorry, couldn’t help it). Take a look at the runners in animal kingdom and you won’t see too many copious derrieres. Too bad for them, because our booties, specifically our gluteus maximus muscles, are uniquely shaped to help in propelling the body forward while running. Need further proof? Even runners with prosthetic limbs can go the distance because of gluteal strength. 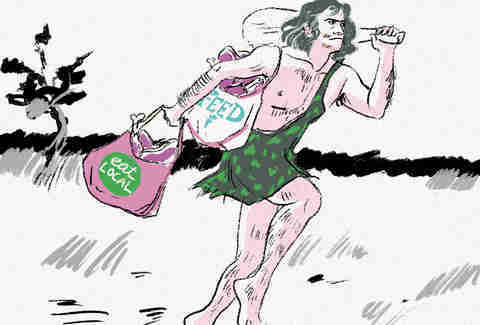 Most scientists (including Harvard anthropologist Daniel Lieberman, who published an oft-quoted study in 2007) believe that our ancestors were daytime hunters and scavengers. In other words, those guys had to get to the animal faster than any other hunter, or else there would be no food for dinner. What’s the link between those old guys and you? Um, have you heard of Darwin? Just think, modern humans moved from Africa to Asia around 75,000 years ago. From there, to South Asia, 50,000 years ago, to Australia 46,000 years ago, and Europe 43,000 years ago. That’s some major wanderlust. We run because we are movers and we always want to see the next trail, the next vista, the next continent, and the next world. If we weren’t good at getting places, we’d have been stuck. We may not have four legs like some super speedy animals, but our legs have large joints and large tendons. Plus our big toes are especially great at propelling us forward. And unless we’re on one of those drunken races through the wine region in France, our arms and upright head will help us maintain stability and balance. Most animals run because, well, that’s what they do for fun, or they do it to eat, or to get away from that thing trying to eat them. But do they think about their gait? Do they think what would be a more efficient way move their legs, or hold their heads? Do they use their minds to motivate themselves? Most definitely not. Then again, they are smart enough not to shell out $100 for a trainer every hour to make us smarter about our running form. Have you seen an ostrich run? Sure, they’re faster than anything else on two legs, but let’s be honest, they look pretty silly. When an animal gets tired, it simply lies down. When we get tired on mile 19 of that marathon, there’s a volunteer with a big smile ready to hand us some electrolytes and a banana. And even on your city park loop or mountain trail, all it takes is a quick glance over to another runner to get that nod of inspiration you need to keep going. 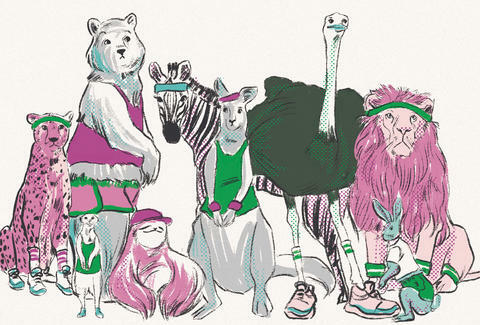 We may not roam in packs anymore, but we sure know how to get inspiration from our fellow runners.